This week was the first time in forever that I didn't have any classes to prepare for or reading lists to plough through and, let me tell you, freedom is a slightly surreal feeling when you know that you're never going to have to prep for a class again. With absolutely no essays to write this week, I've been spending my time relaxing a little too much and squeezing in some revision for the exams I really need to be getting ready for. 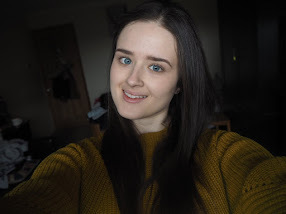 The first of my exams is actually on Tuesday so it's safe to say I'm feeling very nervous but, the fact that there are only two weeks left until all of my exams are finished is definitely keeping a smile on my face! So, here are some of the things that have been making me smile on my first (kind of) week of freedom. Book shopping. Throughout my degree, I've had very little free time for reading the books I actually want to read, but with only a couple of weeks until my final ever exam, I'm finally allowing myself to buy books again and I'm really bloomin' excited about it. I've been watching a lot of booktube videos this week so this weekend I headed into Waterstones to pick up a few really great books that I'm so excited to get started on! Who Wants to be a Millionaire. This week ITV aired a week long Who Wants to be a Millionaire special hosted by Jeremy Clarkson and Jay and I have been super grateful to have something entertaining to watch every night because we've really been struggling to find great tv lately. Summer fruits crumble. Seeing as strawberries have been so fab lately, I decided to throw some into the best dessert of all time - apple crumble (obvs). And, let me tell you, apple and strawberry crumble is a brilliant idea, so next time you pick up a punnet of strawberries, definitely give it a go. New bedding. Is there a better feeling than getting into a bed made with brand new bedding?! I think not! With the seriously humid evenings we've been having lately, I've been so happy to hop into a cool, fresh bed with the new bedding we picked up from Ikea. Beans on toast. For me, beans on toast are definitely one of the simple pleasures in life and I've been enjoying my fair share for lunch this week. Sometimes you just can't beat a plate of beans on toast (with a cuppa of course) when you get home from work. Curly fries. As someone with an Irish mum, I've always loved potatoes in pretty much every form they come in, but lately I've been absolutely obsessed with curly fries. I know that referring to extremely processed fries as potatoes is a slight stretch of the term 'potato' but hey, they're delicious so, who's complaining?! Rododendrons. Try saying that three times fast! But seriously, despite a ridiculously long name, rhododendrons are so beautiful and this week they decided to spring up all over our local park, in just about every colour you could think of! I'd never normally say spring was my favourite season, but this year I have been seriously appreciative of all of the beautiful colours of spring time. What put a smile on your face this week?